Happy New Year from all of us at ColorByte! You may have noticed the blog has been rather quiet for the last couple months, and for good reason: ImagePrint 9 was in the final stages of development and it was all hands on deck to get it finished. On Dec.16, the new version was released simultaneously for both Mac and Windows platforms and it has proven to be the most successful launch in the 20 year history of our company. What makes any release successful is feedback from our users and we encourage anyone with a suggestion or idea on improving ImagePrint to let us know about it. We really do take your input into account when planning for the future. And remember, ImagePrintToday is also open to suggestions. If there is a topic you’d like us to cover, please let us know about it. We’re always looking for blog ideas. If you haven’t stopped by to see our new web site, please do. A lot of effort went into making www.colorbytesoftware.com more modern and information based. And be sure to check out our new tutorial section where we cover most ImagePrint features with a short video that will give you a better insight in to how version 9 works. Now that the dust as settled we plan to get back to regular updates here at ImagePrintToday. So stay tuned for lots of informative articles, showcases of talented users, information on gallery openings and upcoming workshops and the latest news about industry events that ColorByte will be participating in. Finally, as we all get rolling into 2012, we want to say thanks to all our users and wish you the happiest of new years. Here at ColorByte we look forward to it being one of our best yet! In addition to the introduction of Wide Gamut toning, ImagePrint 9.0 also greatly enhances its already existing black and white “Narrow Gamut” toning abilities. (This type of toning refers to adding relatively subtle casts to achieve effects such as selenium or sepia toned prints). Here’s a brief overview of the changes. ImagePrint’s narrow gamut toning was the first introduced to inkjet printers and is still the industry standard due to its ability to “split tones” based on the highlight/shadow areas of the image and then reproduce those tones with advanced inking methods that eliminate undesired casts due to changes in print viewing conditions. ImagePrint 9.0 ups the ante yet again by adding the ability to specify the tone in not only the highlights and shadows but mid-tones as well. 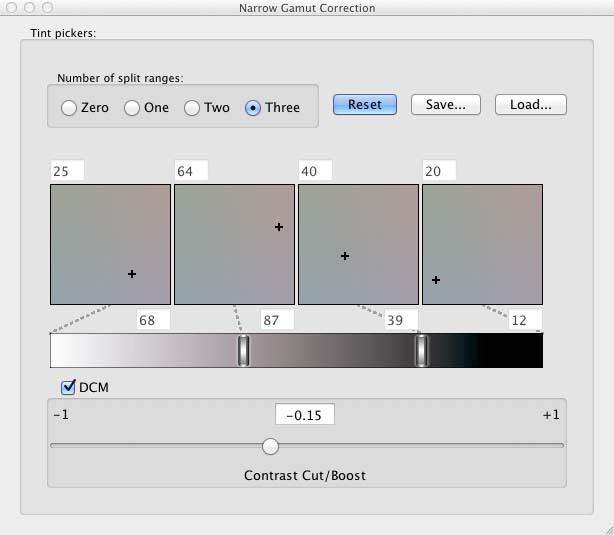 That’s right–you’ll be able to individually adjust the narrow gamut tone in up to 4 distinct density ranges. Master-class black & white techniques previously only possible in the darkroom can now be reproduced right on your inkjet printer. While we were at it we’ve also added contrast/boost controls right in the Narrow Gamut window allowing you to dynamically alter the density curve of the image as you adjust its tone. Combined with ImagePrint’s amazing greyscale profiles, our narrow gamut image toning has long been the secret to success for hundreds of fine-art black and white photographers. With the improved Narrow Gamut Toning capabilities of version 9 we think you’ll find that the tradition continues. One of the greatest strengths of ImagePrint has always been its state-of-the-art library of paper profiles. But such a vast selection always came with a price: namely, finding the right profile for your paper could be, well…kind of a pain. Hard to decipher file names. Cryptic quality, ink and light temperature choices. External download managers. You could easily spend more time figuring out which profile to use than it took to make the actual print. ImagePrint 9 seeks to change all that with a unique and innovative approach to profile selection–the Profile Valet. Here’s a peek at what to expect. You don’t see an ICC profile name in big, bold letters on that box of new paper you just bought. No, it’s the easy-to-read and descriptive name of the actual media itself that appears on the label. So, when it’s time to pick the profile for that media why should you have to grapple with the jumble of abbreviations and confusing terms that make up a typical ICC/ICM profile’s name? 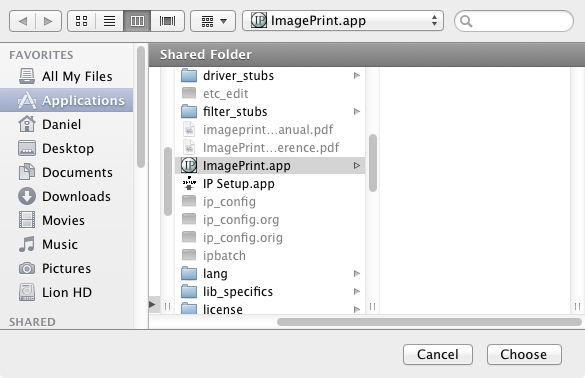 Well, with ImagePrint 9 you no longer have to. The new Profile Valet contains a drop-down list of all of the papers we’ve profiled for your printer—not the profiles—the papers. Just pick the paper by name (just like it reads on the box), choose a few basic options like color vs grayscale, and we’ll do the rest. Of course, if you prefer the old way of choosing profiles, Choose by profile name will still be available. But for most people the Profile Valet will take the pain out of selecting the right profile and will let you spend less time fiddling with profiles and more time actually using them to produce amazing prints. In the past, if you didn’t have a particular paper profile you would have to download it from our online profile repository. 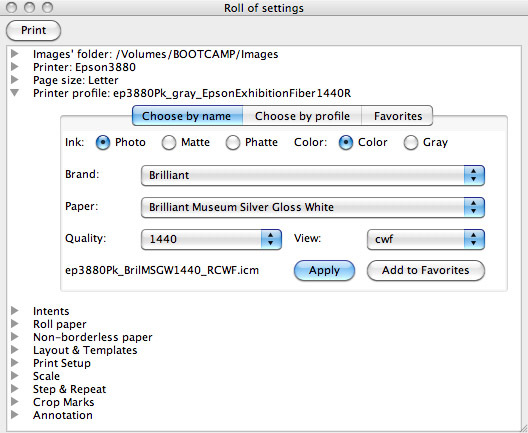 And while our Profile Manager utility simplified the task of getting and installing the right profile, it still meant opening a separate program, wading through lists of available profiles, and then choosing and downloading the correct one for your particular printer, paper and output needs. What’s more—you could never be sure if we even had the profile you needed to get until you went through the process of logging in to check. With ImagePrint 9 and the Profile Valet you’re always up to date. Each time the software launches, it synchronizes its list of available profiles for your printer with our online profile repository so you see a complete list right there in the Profile Valet’s selection window. 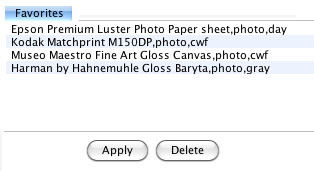 And if the paper you choose requires a profile that isn’t already on your computer it’s automatically downloaded from the repository and installed — all without ever having to leave or restart ImagePrint! Most people have a few papers they use over and over, but re-choosing the same profile and its associated settings each time you switch media can be a time-consuming, repetitious chore. That’s why with ImagePrint 9 we’ve added the ability to save the currently selected profile along with your other color management choices as a Favorite. 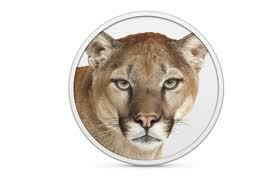 Once added as a Favorite you can quickly choose it from the Favorites window. Improving ease-of-use has been a major focus of ImagePrint 9.0 and from the start we knew that a primary goal had to be streamlining the interface. The truth is, while ImagePrint has an amazing set of features, when it comes to actually making a print only a relatively few settings come into play. But getting to those settings has often meant navigating through several menu choices and opening multiple windows. Did you pick the right printer profile? Is the page size correct? Are you set for Roll? With so many places to go it can be easy to forget something and get an incorrect print as a result. That’s where the Dashboard comes in. The Dashboard puts all the features essential to making a print together in one place, organized into an easily accessible and logical menu structure. Gone are the days of wading through sub menus to get to commonly used settings. The menu choices are laid out in a top to bottom format that takes you naturally through all the steps needed to make a print, and the currently selected options are always visible at a glance. The end result? A much less cluttered interface and a greatly reduced likelihood of making a mistake. We’ve also simplified the printing process itself. Once your images are positioned on the page (and after a quick glance at the Dashboard to confirm your settings) it just takes a single click to send a job to the printer. No more having to go into another window to confirm final selections just to have to click print again. With fewer windows on the screen the available working space area is naturally increased. But we went a step further. By incorporating folder navigation into the new menus we were able to redesign the file browser into a much more efficient and less obtrusive tool…the new Image Strip. Just like the File Browser the Image Strip offers thumbnails of your images which can be dragged or double-clicked to place them in the current layout. But the Image Strip sports a much leaner interface and allows docking both vertically or horizontally into the ImagePrint main window. You can also choose to run the Image Strip in non-docked mode and expand it to display more images or change the size of the thumbnails shown. Finally, we’ve added a Favorites tab to store your most frequently accessed folder locations for easy navigation. Together, these tools represent the biggest ever change to ImagePrint’s user interface. With its more intuitive and logical organization we think you will find ImagePrint 9 to be the easiest to use version yet! Continuing our series of spotlights on what’s coming up in ImagePrint 9, this week we take a closer look at Shuffle and see how picking the best layout is not always as simple as it may seem. Arranging multiple images on a page in the most paper-saving way possible sounds easy on the surface. Even a reasonably fast computer these days is capable of billions of instructions per second, so how long can it possibly take to analyze, say, 20 images on a page to determine the arrangement that saves the most media? Turns out, it can take a while–a long while. Especially when you consider images of different sizes and add in the option of rotating the images 90 degrees. For instance, in the case of 10 images arranged in a simple row there are 3,628,800 combinations. Not too bad, until you figure in the ability to rotate images. Then it jumps to over 3.5 billion. For 20 images that number increases to a staggering 2.55108266 x 10^24 combinations (that’s 2.5 followed by 24 zeroes). Even for very fast computers it won’t take too many images before you are talking hours, days, weeks or longer to calculate all the different layouts. Unless you’re willing to wait a very long time to save a few inches of paper, you probably need a faster method. ImagePrint 9’s new Shuffle feature uses a combination of algorithms to determine the most promising arrangements to calculate first. It then goes about testing these potential layouts, displaying the best its found so far as it goes. At any time in the process you can make the call to go ahead and send that current winner to the printer or keep waiting for something better to come along. To make your decision easier, it shows you how much paper you’ve saved compared to the original layout at the bottom of the screen. We’ve found that within 30 seconds Shuffle has usually zeroed in on a layout that’s within five percentage points of the best possible. Give it a couple of minutes and you’ll likely be within 1 percent, though results may vary depending on size of the images and page. If you don’t want to be tied to the screen while shuffle does it’s thing, just click the “Shuffle and Print” button and specify a duration. When the allotted time is up, ImagePrint will automatically print the best layout it’s found up to that point. More work or more media? One pitfall of laying images out in the most media-stingy way possible is that you can end up with a final print that looks like a jigsaw puzzle of nested images. Separating such a layout can require a lot of manual, right-angled scissors work, so if you need to make straight across cuts you’ll want to make sure “horizontal cut lines” is enabled. 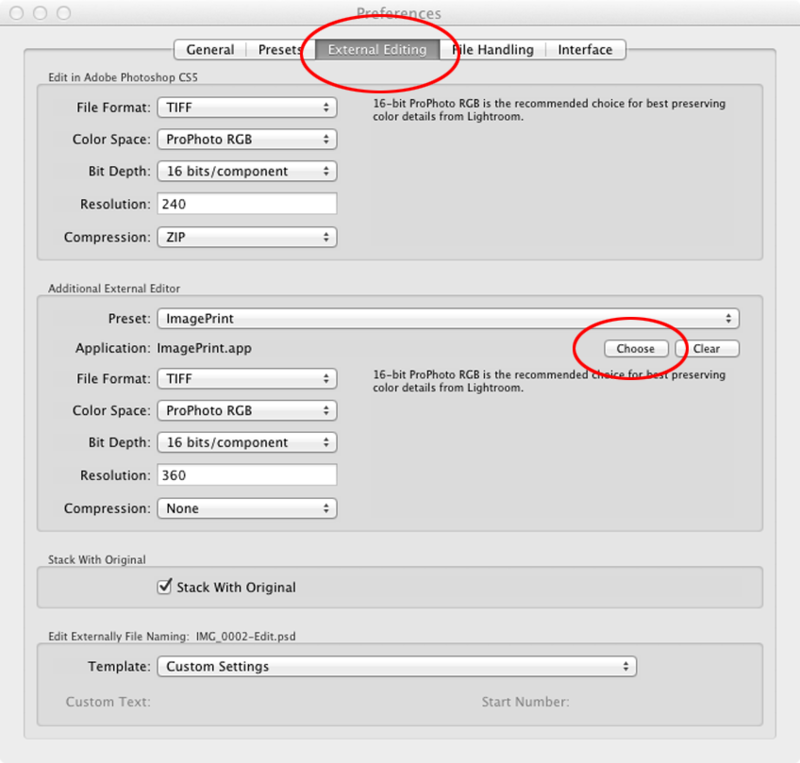 This mode ensures that Shuffle arranges the images in rows with clear horizontal cut-channels between them for easy cutting. While this mode will usually result in less media being saved it can be invaluable to those who don’t want to cut out each image by hand. Combined with ImagePrint’s Inked Area Only feature (which ensures the printer only outputs paper as far as the last image on the page) Shuffle is a tool that anyone who prints multiple images on roll paper can take advantage of–anyone who gets ImagePrint 9, that is. Make sure to give it a try when it becomes available–you may find it saves you paper, and money, with every print.